I’m pretty sure I keep saying that each part of this is my “favorite” but we honestly had so much fun throughout the process of designing and shopping that there was tons of favorite moments along the way. 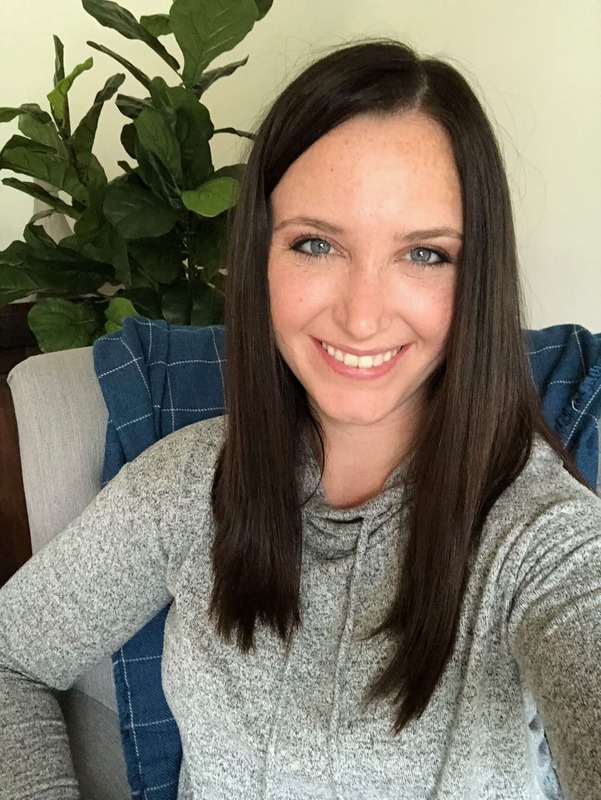 This posts favorite moment? 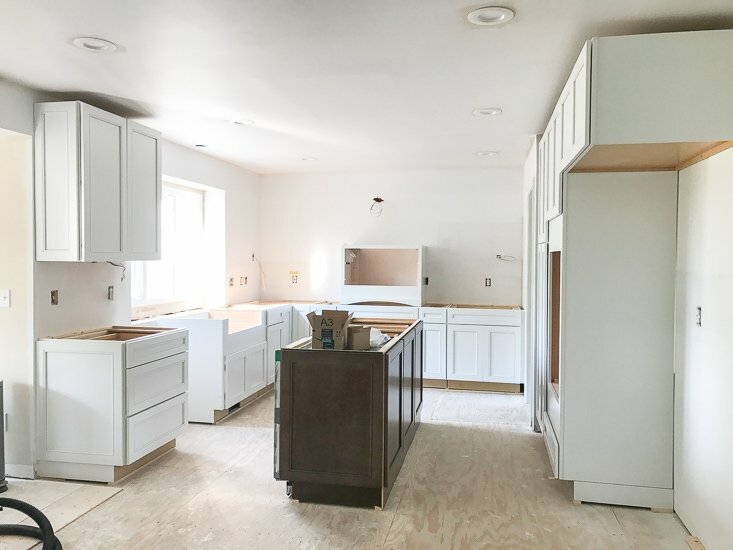 The day all of the cabinets were delivered! 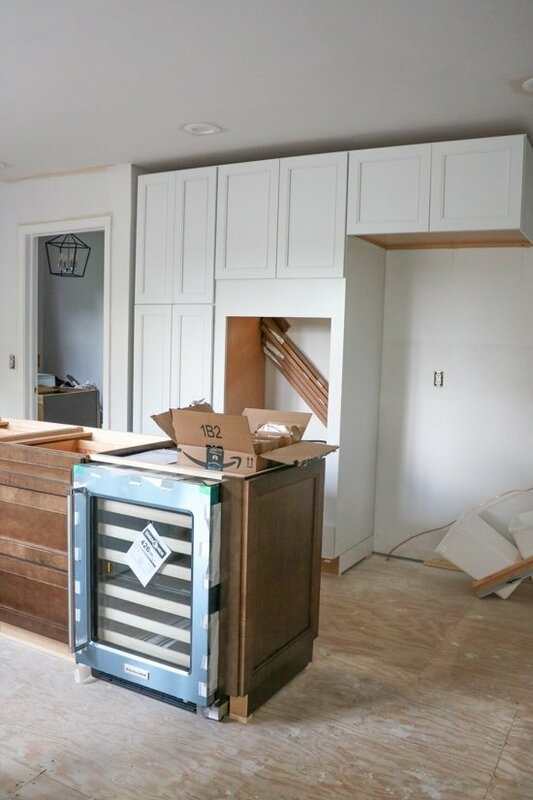 They may have taken up most of our garage with all of the boxes for far too long, but we were just so excited to get the process going that we didn’t mind at all. 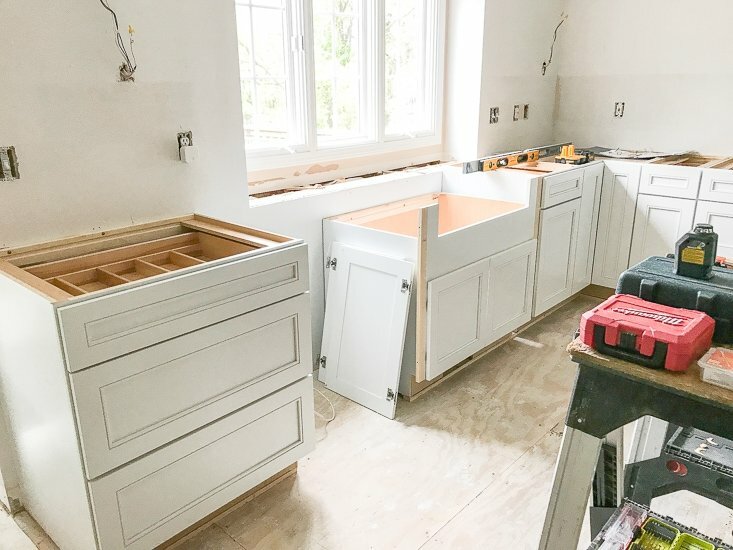 We obviously also couldn’t help opening up a box or two to see what the actual kitchen cabinets looked like in person, and we were pumped when the contractor said that the install would start the next week. 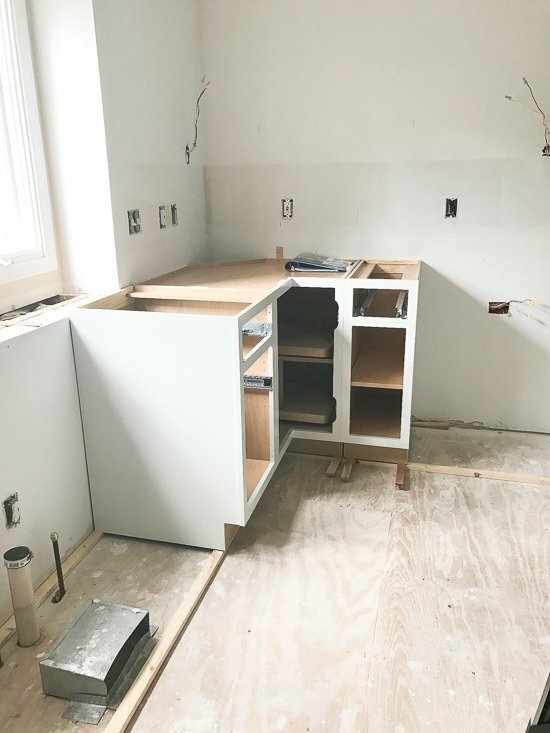 I was even planning on posting all of the progress in real time, but cracked up when we got home after day one and this was all of the progress that was made. 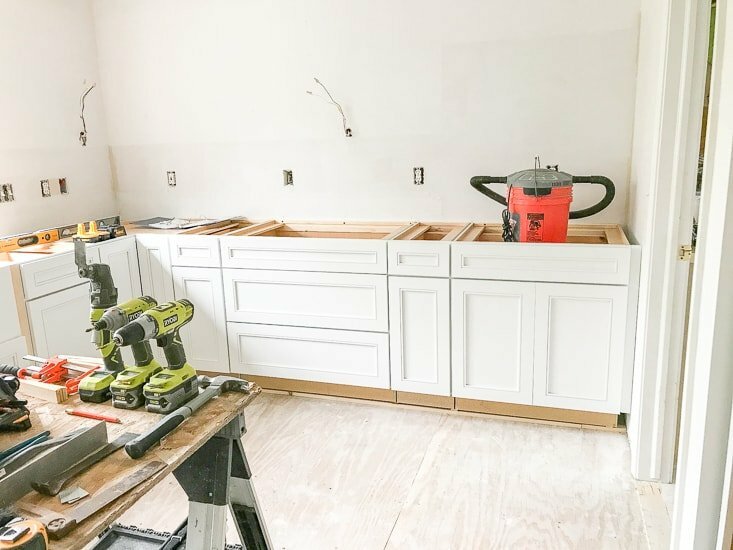 I’m glad I didn’t actually post then, because how exciting would that entry be 😛 All jokes aside, the carpenters were super helpful, and since we didn’t have our floors in yet, they lifted the base cabinets by 3/4″ to match the hardwoods that were going in so that all of our appliances would be at the correct height. Finally after a few weeks and tons of work, we were starting to see some progress! 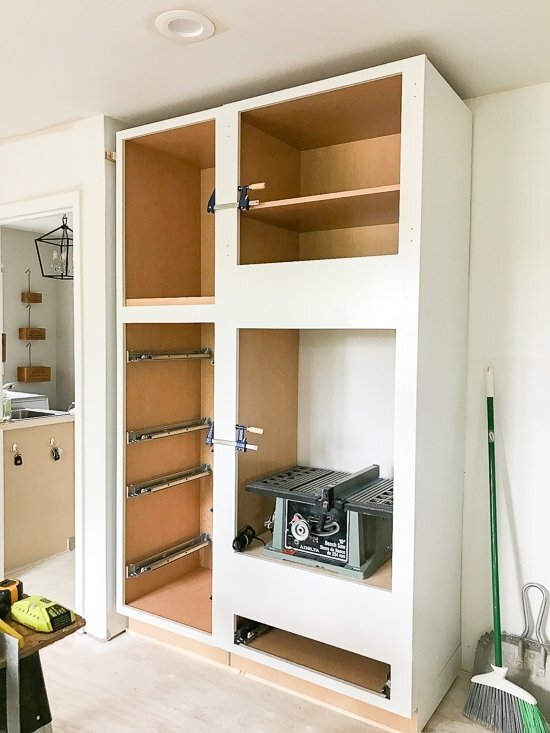 We mixed the base cabinets up with both drawers and doors to keep the design from being too repetitive, but splurged on the cabinet door bases with slide out shelves – 100% worth the upgrade to make the kitchen more functional! 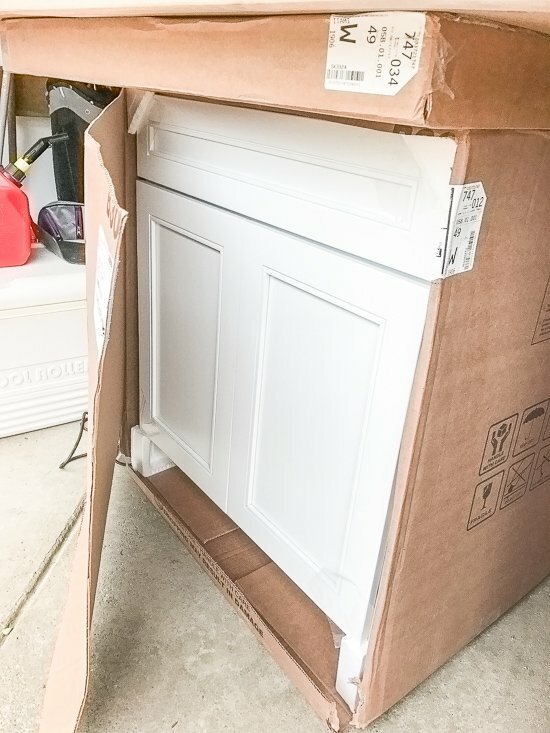 The vent hood and message center that boxed in the fridge ended up being damaged when they took a second look. And this is where the project ended up at a huge standstill. 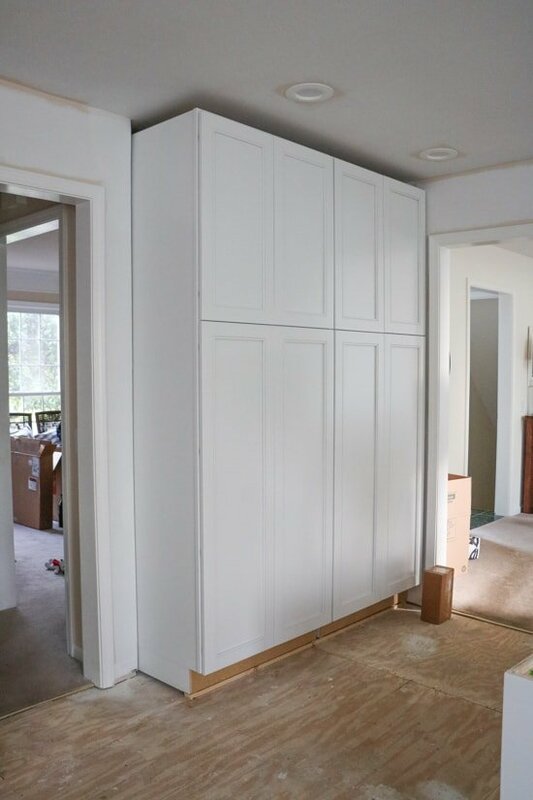 We had to order/reorder/order/reorder since the new replacement cabinets also kept coming in damaged or wrong, and each time we had to reorder it took about 3 times longer than was promised. Got to love home projects and feeling like you’re camping in your own home. Coolers and washing dishes in the bathroom sink for months was just the glamorous life we led. At least I was pregnant so the 5 extra pounds gained by eating out all of the time was easily hidden ha!